If we accept you as a client then you will have a money back guarantee to get back on Adwords. We don’t accept all advertisers. Stop Wasting Time and Losing Money and Contact us Now. In Google’s hope to protect the average user, they want to make sure everything on your website is very clear and easy for the average person to understand. So, if you are selling anything and it could be misinterpreted by the average person, then Google will not let you do it and you’ll get this paper. If you previously have a suspended account just opening up a brand new account with a new website as a new credit card is not going to resolve your issue you have to identify exactly what the problem was fixed that to solve your problems you don’t have to worry about getting suspended. This is probably the hardest one because you never know if you actually are dressing the whole reason for your suspension until you do a solution and you’re either told yes or no and a lot of times there is no feedback for you. this is one of the biggest difficulties when trying to recover from a suspension. there really is no good system to give you feedback but that is why the service exist to help you. If your account has been suspended that means you’ve done something pretty bad in the eyes of Google where they’re suspending you at the highest level so it doesn’t matter what you put in the account everything that goes in will not be allowed to run since you’re suspended the account level and this is fixed differently then if you just have a website that is suspended. even though this is normally a major violation it still in those cases is fixable. It’s very tempting to try to just open up a new account once you have a suspension but what normally happens is that suspension will then be apply to a new account. 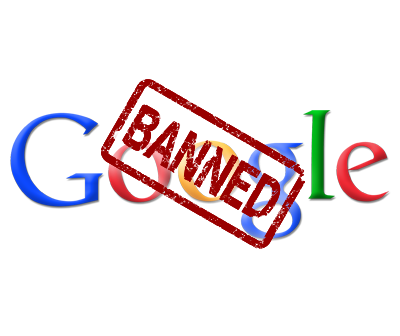 to recover from a suspension you have to identify the court issue and fix that and you have to fix that and all of the accounts because as long as there is a suspension tied to your name it will be almost impossible for you to advertise on Google again. essentially your name will be blacklisted. This is the only type of suspension that you cannot recover from and when this happens you have to find another way to advertise besides Google AdWords. The way to tell if you have this is when you call in to Google and you get someone on the phone and they say legally we can’t talk to you and they won’t discuss anything with you with your account then you know you have this type of a suspension. this does not apply if you call in to their automated system and it said you’ve been suspended that doesn’t mean you can’t be helped we have helped many people who have had their customer ID blocked from calling in. the key to this is you are not wanting to hear from a live person on the phone with Google that legally they cannot talk with you and they will not give you any information about your account and all they can do is say that and then hang up. We can fix most accounts, but if you’re not sure feel free to look at the types of accounts we work with or just to fill out the form or give us a call and will you be glad to tell you if we can work with you or not. John was suspended because of a website he started to promote from his account that had been running for over 5 years. AdFicient was able to get John back on Google Adwords in 7 days. Rick was suspended because of unrealistic claims. After many attempts to get help directly from Google nothing worked until… Adficient was able to help him get back on Google in 11 days and keep his same account.